Daryl Morey, not surprisingly, was smitten with Mike D’Antoni when he saw him at the Sloan Conference. For the Houston Rockets general manager who co-founded the NBA’s annual analytics affair, and who had long admired the coach who rose to prominence with the “Seven Seconds or Less” Phoenix Suns so many years ago, this was like seeing the pretty girl from the neighborhood in your favorite dive bar. D’Antoni and Morey were on friendly terms, having shared a double-date lunch with their wives seven years earlier in Beijing during the Olympics. 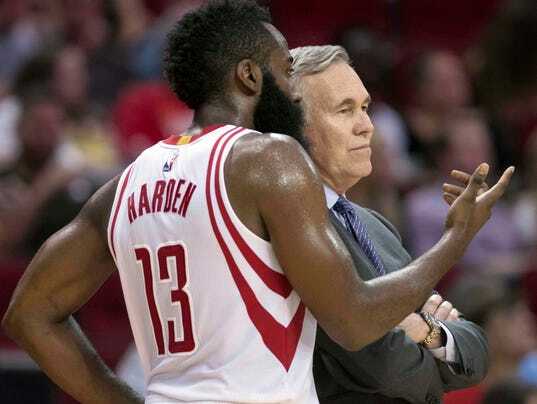 But there was a break in D’Antoni’s schedule in February 2015, what with his early exit from the Los Angeles Lakers and their “hostile environment,” as he had deemed that Kobe Bryant-Dwight Howard world, nine months earlier.